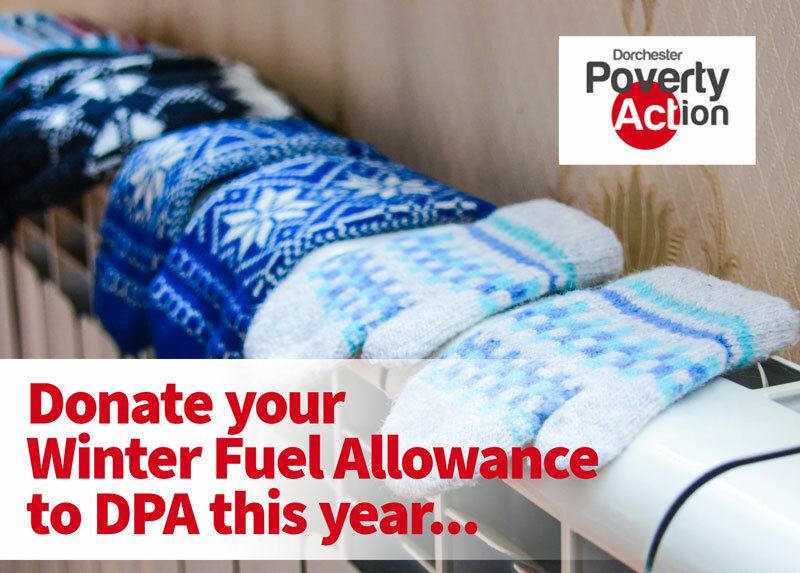 This year we are asking people who may not need their Winter Fuel Allowance if they would like to donate it to Dorchester Poverty Action this winter so we can make a big difference to the lives of people in acute need this winter. Click here to donate your Winter Fuel Allowance. Grants are made of up to £200 to people living in DT1 and DT2 area who are in financial crisis. Coop gift cards of £10 are distributed through 16 local care agencies to people in acute need. Use this page to get in contact with Dorchester Poverty Action Group.